The above two photos depict the Brady School No. 256 in McLean County. 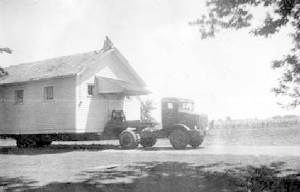 The photo to the left shows the school building as it is being moved from its original location to 725 Sheridan Street in Chenoa. The building was originally built in 1864 and moved in 1873 to the southeast corner of "Section 6" in McLean County where it was utilized as a school building until 1949. The school is named after James Brady, a major catalyst in starting the school in the 1800s. It often was home to large enrollments in spite of being somewhat small in size. 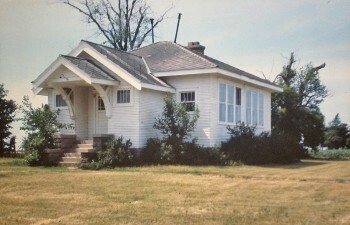 It is a brilliant example of a small school building erected in the early days of education in Illinois. 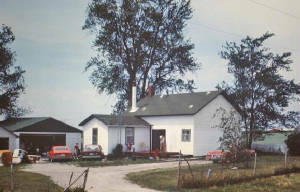 Upon finding its new location in Chenoa (to where it was moved for $100 in 1952) the new owners, Hugo and Evelyn Reis, used great ingenuity in obtaining lumber from a demolished church (Ocoya Baptist) in Chenoa and adding two bedrooms and a garage to the property where they lived until their retirement in 1983. The photo to the above left is of the Yates Township School building whose District was established around 1876. The township was named after then govenor Yates. The land was flat and very fertile. A lack of lumber in the area originally slowed the building processes but this problem was soon remedied. The Rooks Creek and its branches provided the water and drainage outlets. The original Yates school building, pictured to the left, still stands today. 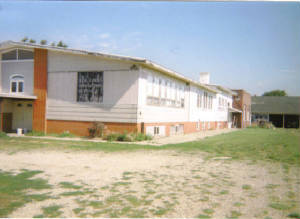 The photo above to the right is of the Bauman School, District 247. It was originally called Hicks School as the land donated for it was donated by Joel Hicks. 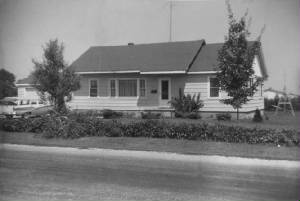 The Bauman brothers later purchased the land and the school name was changed to Bauman School. It is currently used as a residential home. Another truly awesome web site to view more excellent photos of country school buildings is the Jersey County web site at http://www.rootsweb.com/~iljersey/School/JC-schools.html . This article was written by Edith Buchanan Bingamin with an attached article by Sarah Elsie Husband. 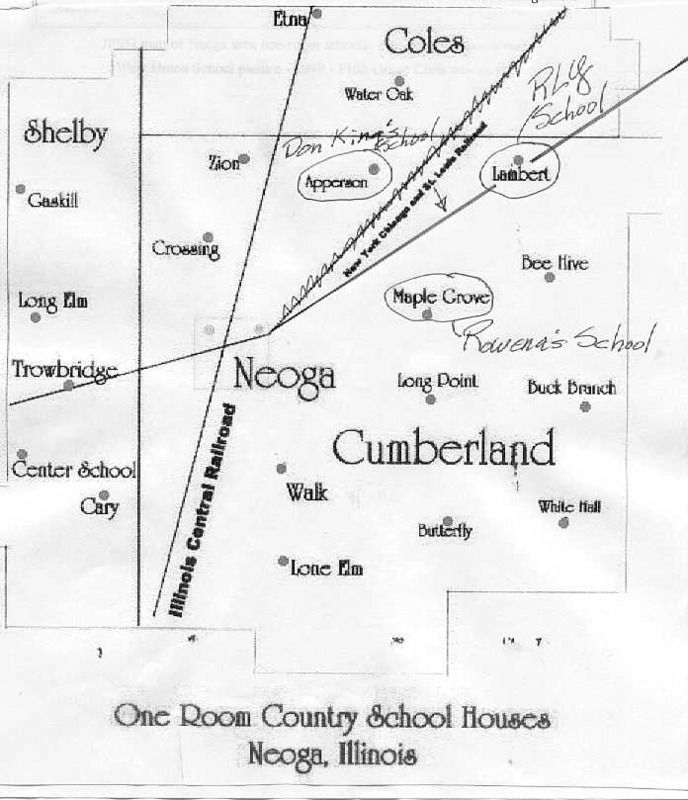 The unique part of the article is the map (shown above) and the very detailed description of the school's set up and daily routine. This is a must read for history and country school fans. What a great and simpler time. Imagine the incredible attention a student was given....this is how "no Child Left Behind" should be run! Excellent article and major thank you to Robert Young for adding another gem to this site! 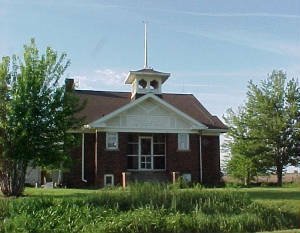 Ben Funk Grade School, located near Shirley in central Illinois south of Bloomington, began in 1912 as Frank Funk donated land for a rural school to honor his father Benjamin. The Funk family was well-known for their agriculture prowess in developing a corn hybrid, and were involved in their community, so opening up a school was a way to give back to the country folk that lived in the area. The school opened up as a 1-8 facility, and offered high school courses in 1914 (see the Ben Funk page for that information). The building was designed by architect A.A. Pilsbury with an unusual one and a half story building that was opened shortly thereafter with two classrooms, work room space and an assembly hall for the price of $5,000.00. The school lifted its roof in 1920 and added on more classrooms and the principal's office for $40,000. Subsequent additions were added to the building in 1954 and 1960 with the second floor being removed at the time of the latter addition. 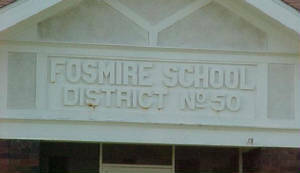 The school was closed following the 1990-91 school year and is now used a private residence. Some memorabilia from the school can be found in the Funk Prairie Home near Shirley, which also hosts a sizable gem & mineral collection from LaFayette Funk (another relative). Students now attend classes at Heyworth Grade School, seven miles south of Ben Funk GS.